← GoPro Video Plays Troubles with Plex—How to Solve? How to edit the OBS recordings together into one single file? 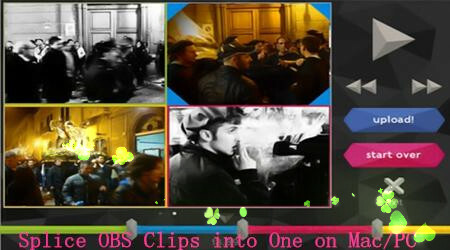 Of course you can use some NLEs like iMovie, FCP or even QuickTime, but today here we would like to introduce you two faster ways to merge two OBS clips together. It would be much easier for us to splice the multiple OBS recordings together. Solution 1. FFmpeg—command-line tool to merge OBS video clips. The secret to FFmpeg being able to do this job so quickly is that unlike many video editors, FFmpeg can concatenate some video formats without needing to re-encode the file. Unfortunately the FLV files produced by OBS aren’t in one of those formats. Fortunately, it’s just the Flash Video container that is the problem, not the underlying video encoding. As mentioned above, it’s a pity that FLV produced by OBS is not the supported formats there. So if someone there may ask how could we do when we get the OBS FLV videos? To make your job perfect, we here can introduce another tool to merge all your videos well into one. 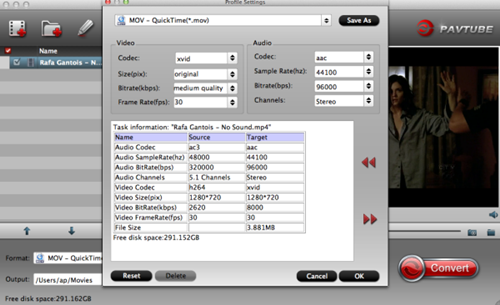 Solution 2.Pavtube Video Converter for Mac/Windows—Suitable for merging all OBS files together. As a professional video converter on Mac/PC, this converting tool not only works for converting all video formats for playback or editing smoothly. What’s more, with the latest upgraded version, it has stronger ability of format conversion. On the other hand, with the faster speed, more users prefer to merging their video clips together to save the storage space or editing nicely. Step 1. Install and launch this OBS video converter on your Mac/PC, it would be nice to load your video clips with ‘Add files’ there on the main interface. Step 2. When you successfully import your video clips together on the list there, just tick on all the clips you want, then on the right corner, we can just tick on the icon ‘Merge into one files’. Step 3. Before we starting the work, why not go to the ‘Settings’ to find more advanced functions? Here we can adjust video and audio parameters in our own style. For example, video size, bitrates, frame rate or even the audio channel. You are deserved to have a try here. On the main interface, we are so glad to tell you it’s time to hit the ’Convert’ item to get the work started. Easily and conveniently, we can enjoy the OBS files with a complete file folder. Would like to have a try?